It looks more like an old jail than a hotel to me. But that's what the sign says. 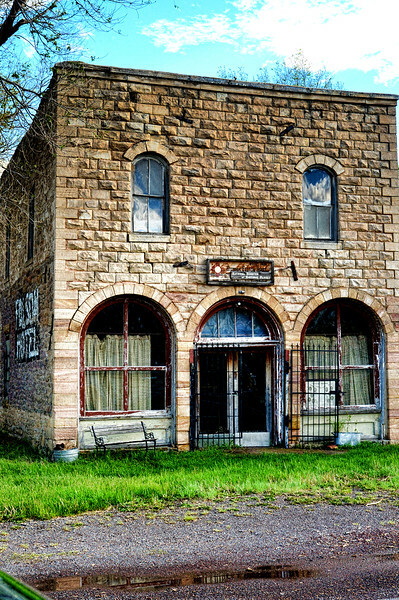 This old building was also found in the ghost town (now being brought back to life) called Pitkin, Colorado. hotel for small budget ! Super shot and pp! The 150 tulips I planted last fall are mostly up. I'm looking forward to spring! Very cool Linda. Have a great day.